COLUMBUS, OHIO : ASCENSION KEYS EVENT! 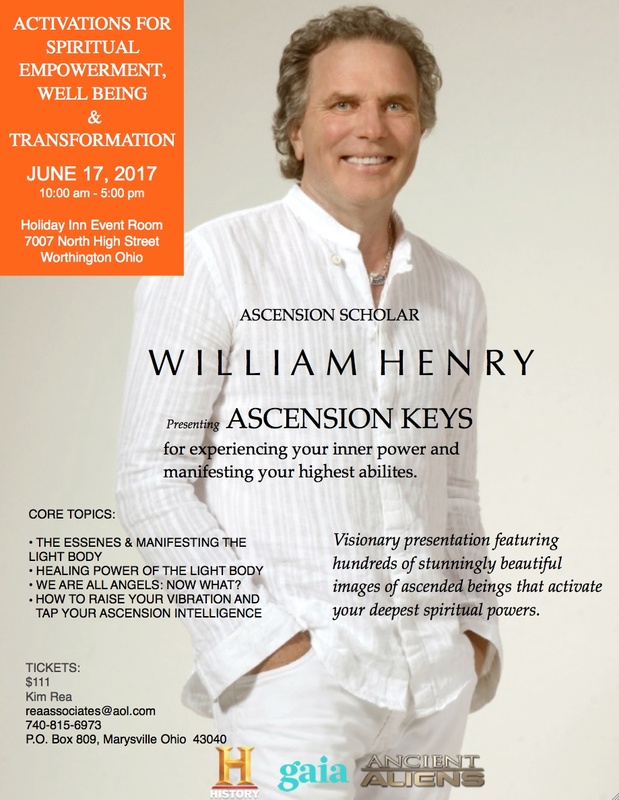 On June 17, 2017 I will be returning to Columbus, OH where I will be presenting “ASCENSION KEYS”, a workshop for activating your inner power and manifesting your highest abilities. This experiential workshop will feature my latest work on the art of ascension and spiritual empowerment. Please contact Kim Rea at reaassociates @aol.com or by phone at 740-815-6973 to register.